Doesn't it feel like Summer with all the ocean-themed projects we've been showing this week? We're not done yet! Today we are introducing Mini Everyday Messages and Ribbon Banner. Mini Everyday Messages is pretty self explanatory, sells itself, doesn't it? 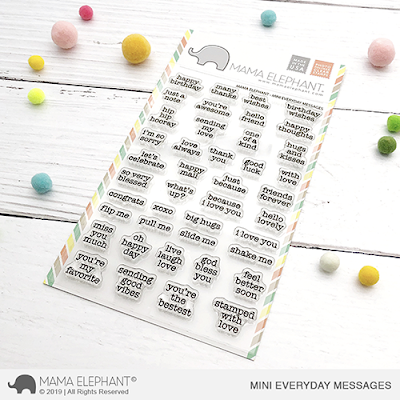 I mean, just look at how many sentiments are packed into this set! They're perfect additions to Big News, which we revealed yesterday! 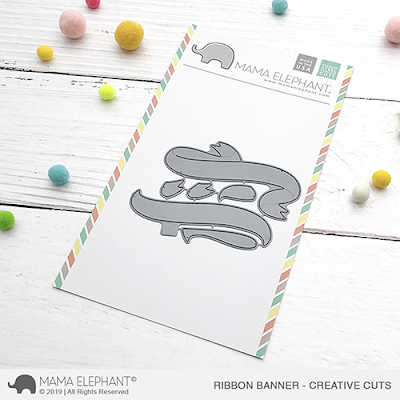 I love the look of a swirly banner, so here is Ribbon Banner! The fun part of this design is you get to paper piece together the different elements to get that 3d feel. Mix and match the colors! Let's see what Rina created for us today! Love the unexpected color scheme Rina used! And oh yes, the Mini Everyday messages is absolutely perfect with Grid Window and Circular Grid! The smaller cuties from Marine Friends fits nicely too! And wow, look at this card! Isn't it just dreamy?! Love Rina's Ribbon Banner colors! That's it folks! 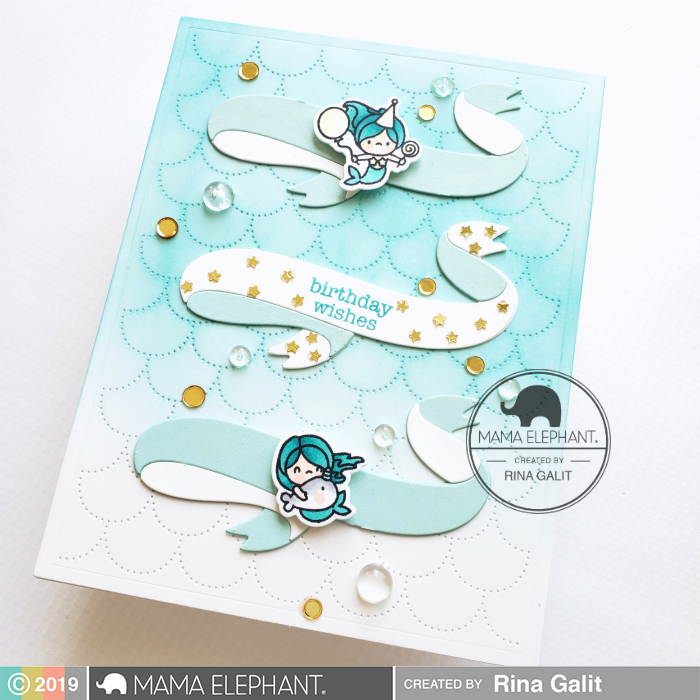 Rina will be back again tomorrow with the Stampede along with our Design Team with loads of inspiration using the new release! Release is tonight at midnight EST!!! Thanks for joining us all week! Wow! 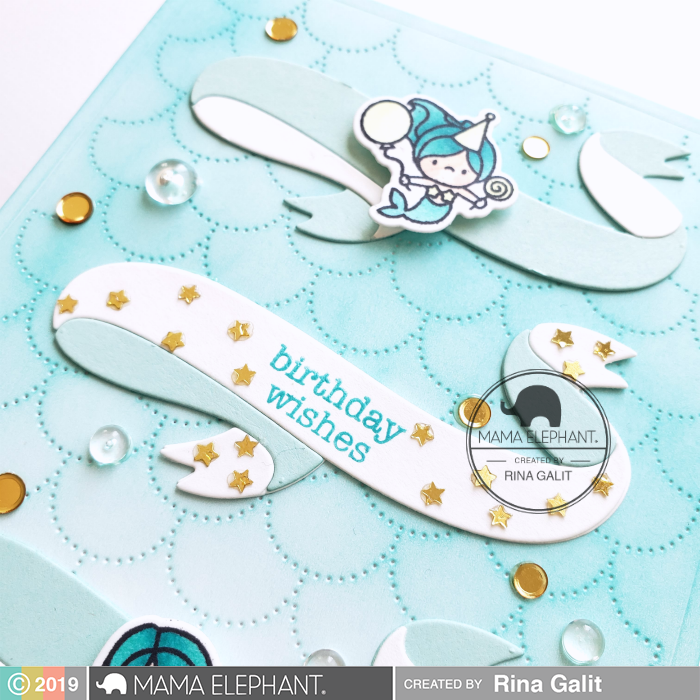 Fintastic new stamps and dies! Sneak peak! I love the nautical theme! Sooo CUTE!!!! Love that banner die!! !